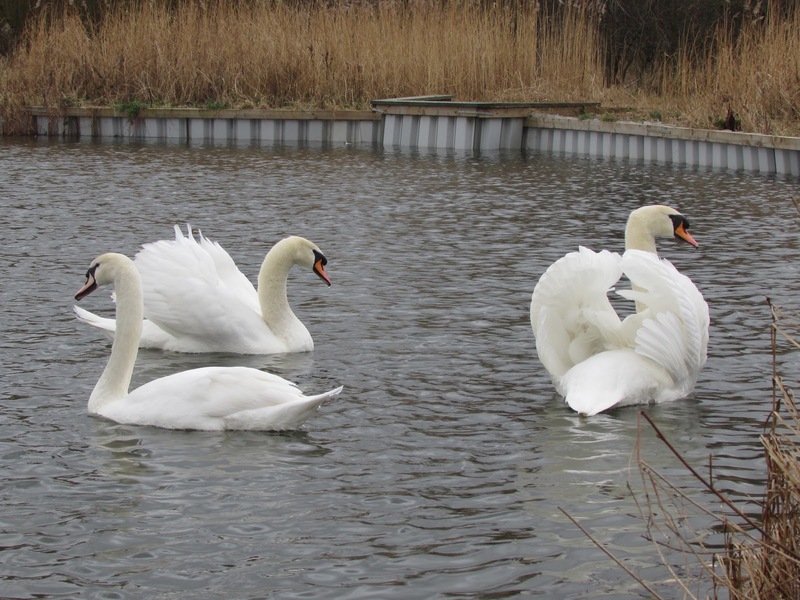 In a visit to a local fishing lake, we find the swan family, the pair and a young from last year. 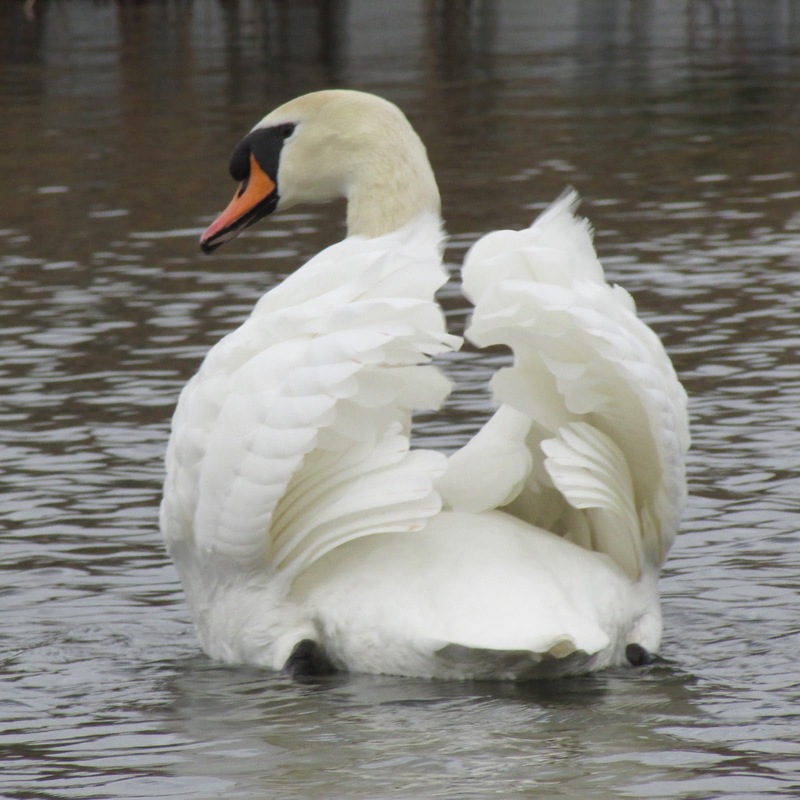 The male kept his wings arched high over his body, staying between the shore, where several dogs were running around, and the other two swans. This behaviour is a mild form of threat display called busking (yes, another type of street performance if you like). 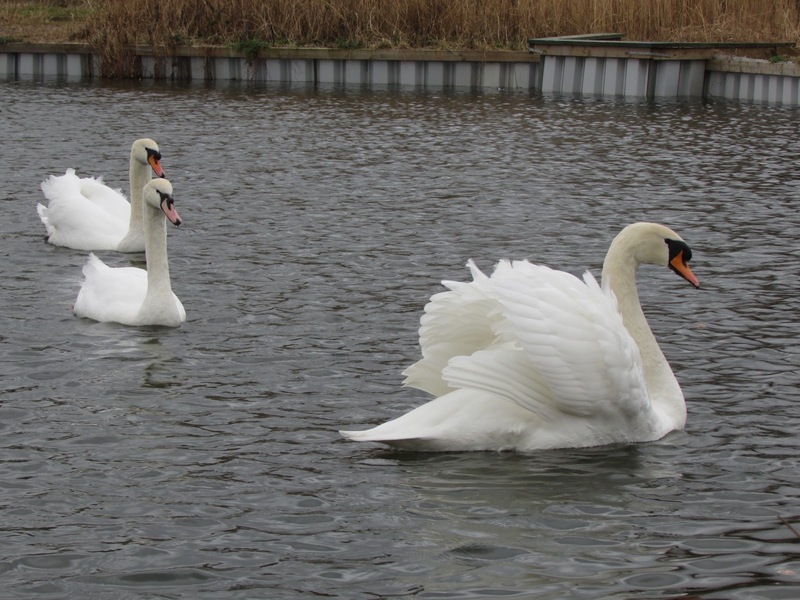 Swans not only use it to deter potential predators, but also as a threat against intruding swans, before lunging or chasing them out of their territory. 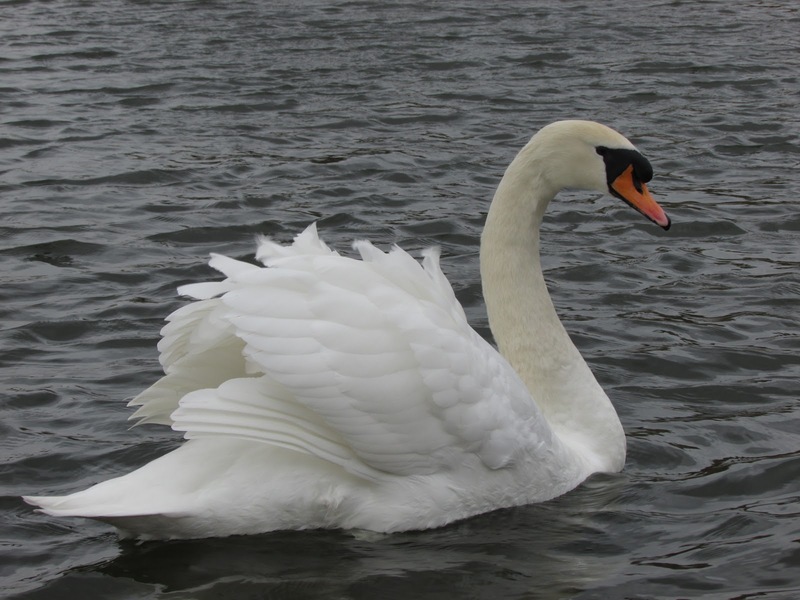 In its highest intensity, the display involves the swan arching its neck, and keeping its head low under his wings, while they lunge forward to the intruder swimming fast, propelling themselves with both feet at the same time. It is a most impressive sight. Male swan busking a juvenile, note the front wave he is creating! 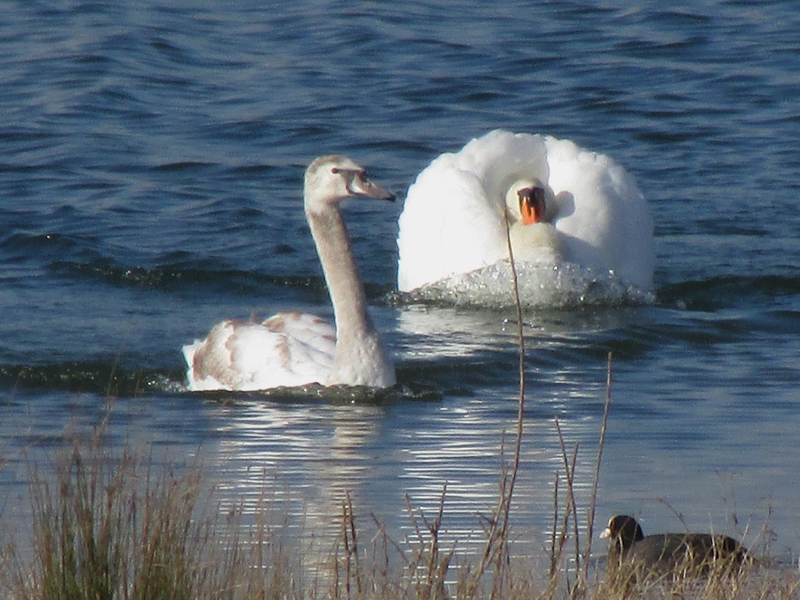 (North Cave wetlands, 3/3/14). The young one has a pink, instead of orange bill, and will probably stay around until the pair start nesting in the spring. 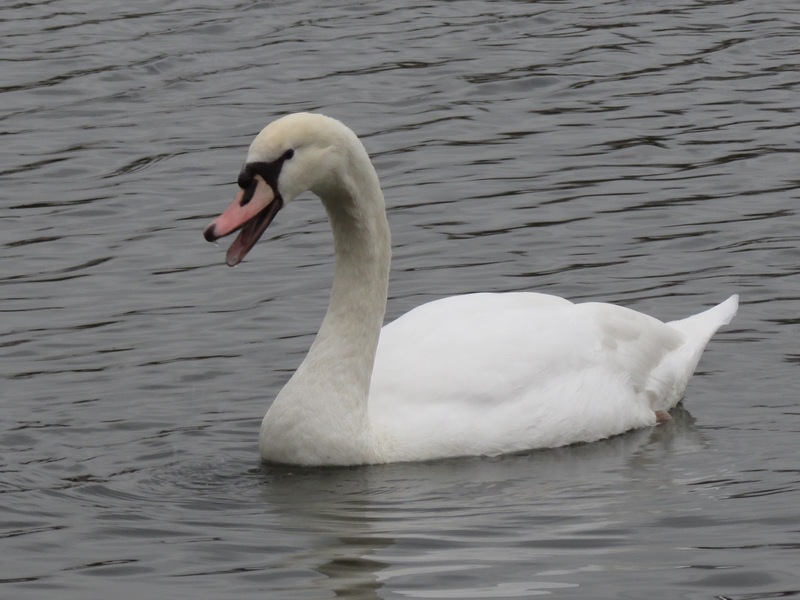 The male, or cob, swan.